Android is one of the most versatile operating system available today. It started as an operating system for mobile devices like smartphones and tablets, then moved to smart-watches and wearable gear like Google Glass. Its now poised to invade your living room as Google is ready to announce the Android TV soon! Is Android TV Same as the Google TV? No. Android TV is not same as the older project by Google called, Google TV. Although Google TV was also an Android based TV but basically its was simply a Android tablet with a huge screen. 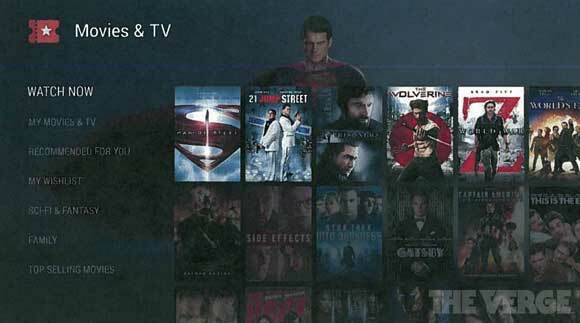 The interface, apps and everything else in Google TV was just like an Android Tablet. According to Google, Android TV is totally different compared to Google TV. Android TV is an entertainment interface, not a computing platform. Android TV is Android, optimized for the living room consumption experience on a TV screen. It will be cinematic, fun, fluid, and fast. So What is Android TV? Google has planned to release Android TV as a normal TV but with more features and control, thanks to Android base. It will probably have support for most of the Android streaming apps including YouTube, Google Hangouts, Netflix, Hulu, Pandora etc. Android TV will also come with built-in Android games. It will also support installing and uninstalling of Android apps so that you can customize your Android TV to your liking. 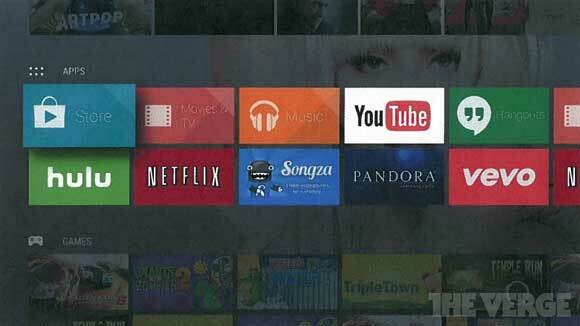 Another great feature that the Android TV is likely to have is a consistent user experience. For example, if you are watching a YouTube video on your Android TV and you need to leave the house, you can continue watching it on your Android phone or tablet. Your Android TV will also automatically suggest content to watch based on your browsing habits on your phone, tablet or computer. Although its not clear right now if the Android TV will support Android apps exactly like Android smartphones and tablets, or will it be a totally different platform, but its certain that Google will release some kind of Android development kit for Android TV. As Android comes to more and more platforms, its best time to start learning Android programming. Currently, no information about the the price of Android TV is available. However, all the details about Android TV, including its pricing and availability will be probably announced in the upcoming Google I/O conference next month. Stay tuned to Zoopable for more updates on Android TV. This page will be updated as soon as we have more information about Android TV. Subscribe to Zoopable to stay updated. Disclaimer: Its very early to confirm if the details about the Android TV are true. All the information about Android TV is based on a leaked document obtained by TheVerge and there has been no official announcement from Google about it.